Magical Urban Fantasy Reads: Introducing... The Immortal Circus! 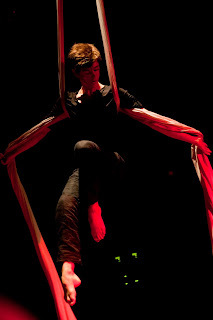 It gives me great pleasure to introduce to you a show unlike any you've seen before. 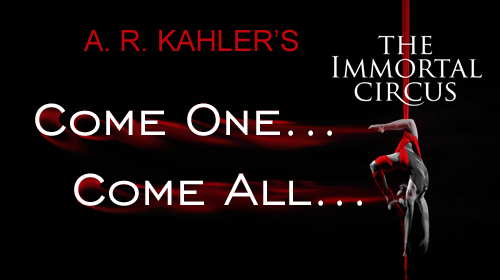 Within the walls of THE IMMORTAL CIRCUS, you'll be amazed by acts of tragic romance, seductive magic, and maybe even a little murder. After all, loves, nothing is what it seems under this big top. Not even your innocent little heroine, Vivienne. Released every two weeks through the Kindle Serials program, we'll be sure to keep you on the edge of your seat, right up to the breathtaking conclusion that will have you begging for more. But don't worry, loves—you'll delight in the anticipation. 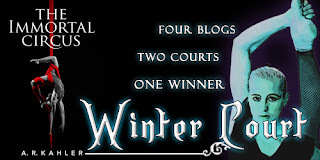 Follow our spectacle across four blogs representing the two Faerie Courts. There will be exclusive interviews and artwork, backstage reviews and more from the author, A.R. Kahler—and trust me when I say, he knows the circus well. Pick a side, promote the show, and compete for your chance to win a spectacular prize of circus goods. And my eternal love, of course. Trust me when I say, when the final curtain falls, no one and no thing will ever be the same. But let's not get ahead of ourselves. The show's just beginning. Are you ready to run away forever? Most little boys dream of running away to join the circus. Alex didn't just dream it: he did it. But then, he rarely lets a good dream pass him by. 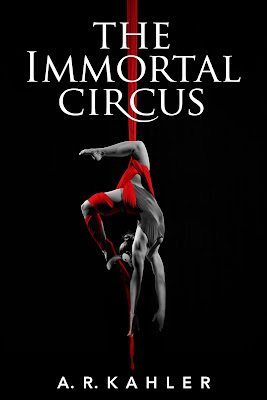 THE IMMORTAL CIRCUS is his first New Adult novel, and is being released exclusively through the Amazon Kindle e-Serials program by 47North. It will be available in print and audio when the episodes are complete. 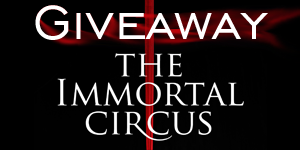 There are 10 Kindle eBook serial copies of THE IMMORTAL CIRCUS up for grabs. The giveaway is 3 days ONLY and it’s open to anyone 13 and older who can receive gifted Kindle books. The winners will be announced within 24 hours after the giveaway closes in the Rafflecopter form. All giveaway rules are listed in the Rafflecopter. It does sound really good, It's in my wish list at amazon and I will def be checking it out. I like reading about the fae, this sounds like a good twist. I love the Fae! This sounds like it will be a great book. Thanks for the giveaway! After meeting you, I am def going to take your advice! !